Most who follow me will also be aware that my 13 year old daughter is also a blogger and has a crafts website SLH Crafts. 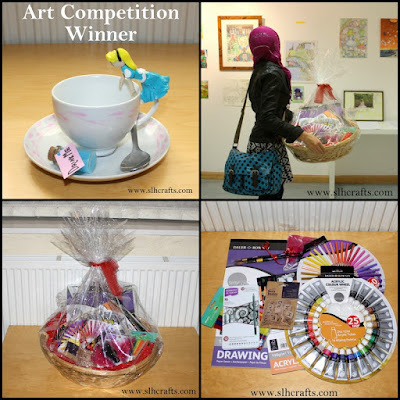 http://www.slhcrafts.com/ She has recently been quite busy with different crafts and also won a local art competition recently so I thought it was about time I showcased some of her recent work here on my blog too! I am so proud of her achievements and her talents continue to amaze me masha'Allah. The main photo above shows her receiving her prize for the Alice in Wonderland Piece of art she did for the Art Competition. The photos below show some of her lovely paintings she has recently done. Below are some other art pieces she has created and shared on her blog over the last few months. 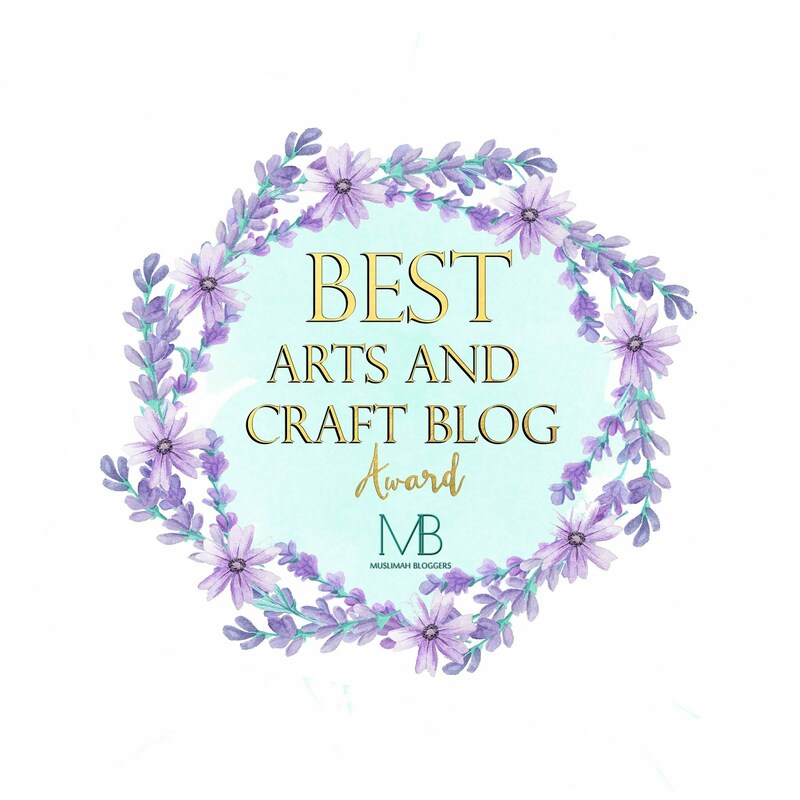 I used to show her crafts on my blog when she was younger but now that she has her own blog I only show hers occasionally and as a group post. My 8 year old is now also asking for her own craft blog, soon I won't have much to share on my own blog haha! Congratulations on winning first prize! MashaAllah your daughter is very talented.